Bianchi, Checco, Parrish, Pankratz, Petersen . . . Bloomington Jefferson’s stockpile of superstars was insane in its overabundance. And those were just the forwards. LaFleur, Anderson, Peterson, Trebil, Clymer, DeWolf … the Jaguars were just as loaded on defense, where the gate on the bench might just as well have been a revolving door for all the Division I college-caliber talent rotating through the program. 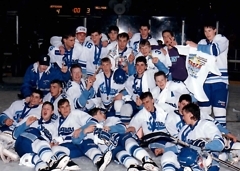 Strip any one – or even two – of the above-mentioned parts away from the mighty Jefferson machine that tore through Minnesota high school hockey in the mid-1990s and the Jaguars most likely still win three straight big-school championships. Take away Mike Crowley and maybe, just maybe, Jefferson wins one or two titles. 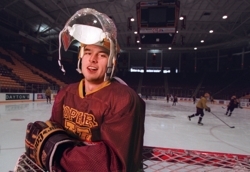 “It was unfair when he was on the ice for a lot of other teams,” said Nick Checco, a Mr. Hockey award winner who graduated in 1993, a year ahead of Crowley. A shut-down defenseman with the full array of offensive skills, Crowley dominated games in the defensive zone, the offensive zone and neutral ice. "As I think back to playing with him through bantams and high school, I never saw Mike get beat one-on-one," said Joe Bianchi, who graduated with Crowley. "People want to laud his offensive skills, but if a guy was coming down one-on-one, you knew there was not only no chance he was going to get around Mike, but he wasn’t even going to get a shot off." Crowleys impact was so great he probably could have taken a seat in the bleachers and still managed to throw a hip check or lead a breakout or two. “He stood out on a team with a bunch of standout defensemen,” said Hibbing coach Mark DeCenzo, who was previously the head coach at Apple Valley and routinely squared off against Crowley and the Jaguars. “He controlled the play. 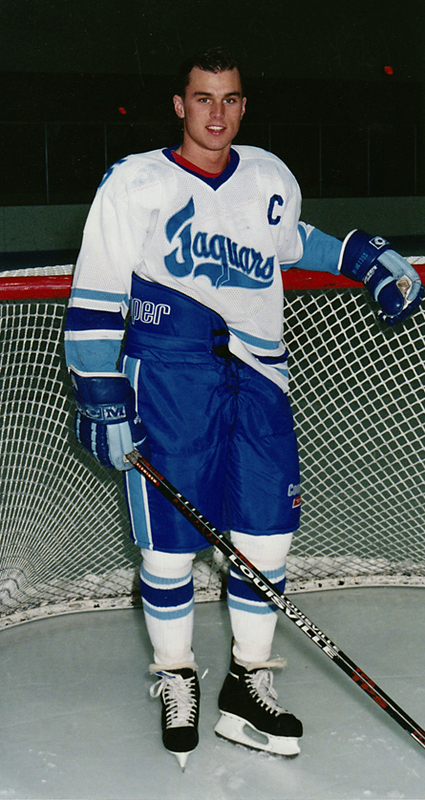 Crowley cracked the Jaguars’ varsity lineup as a freshman during the 1990-91 season. 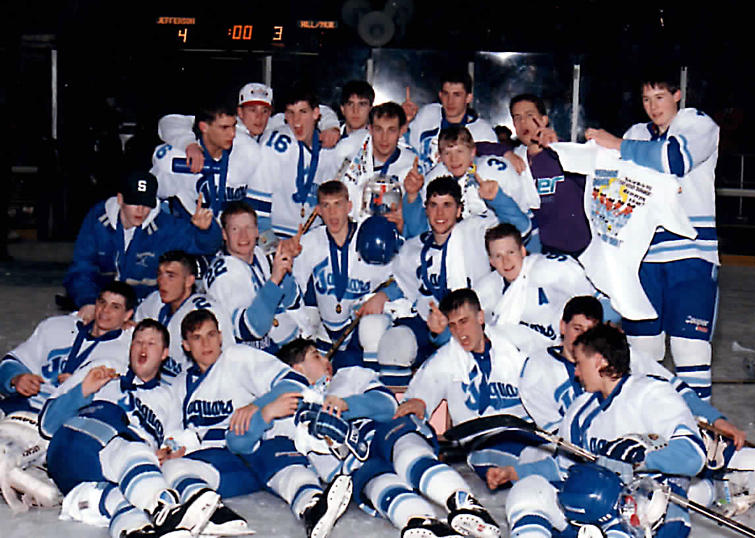 Jefferson lost to Bloomington Kennedy 2-1 in the Section 5 championship game in 1991, and Crowley remembers standing on the ice and watching the Eagles celebrate. “They said to us, ‘Look at how excited they are to be going to state,’ ” Crowley said. “Kennedy was certainly better than us. But we gave it a good run, and we were so close to making it. The loss to the Eagles marked the last time Crowley didn’t end the season with a victory. Over the next three years, Jefferson went 79-3-2 as it became just the third program in state history to win three straight championships. Only Eveleth, which won four straight titles in 1948-51, had a better run. No team has repeated as big-school champions since the Jaguars’ three-peat. “Having a chance to play in one state tournament, much less three, was an awesome experience,” Crowley said. “To play in the (St. Paul) Civic Center with those old clear boards … you used to just watch it and see the clear boards on TV. Jefferson’s success started with Crowley, whose crisp passes out of the defensive zone served as the catalyst for their offense. 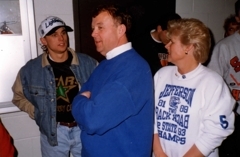 Crowley was named to the all-state tournament team as a junior and senior in 1993 and 1994. 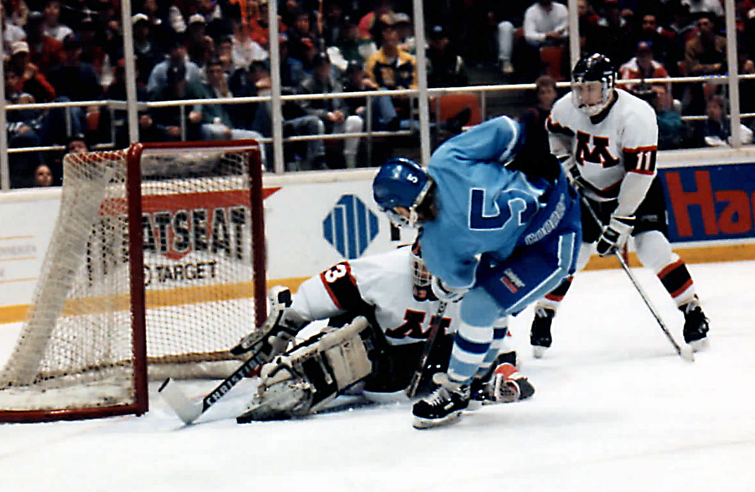 In the 1994 championship game against Moorhead, Crowley scored midway through the third period to help clinch the Jaguars’ 3-1 triumph. Crowley also had an assist against the Spuds as he capped one of the greatest seasons by a defenseman in state history. He scored 23 goals and added a stunning 54 assists for 77 points, the most in a single season in Jefferson history. He won the Mr. Hockey Award that spring. Crowley's 154 career points is the third most by a Jaguar. “He was one of those guys that sees the ice so well,” John Bianchi said. “He saw it better than anybody I’ve ever coached or been involved with. The other thing that was amazing about him was his first couple of steps were so quick, he not only beat the forecheck he did it so easily he didn’t get involved in traffic. Crowley said playing youth and rink rat hockey with so many great players helped elevate all of the future Jaguars’ games. Once they got to high school, the ratcheting of the intensity level continued with each season. 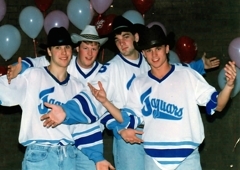 With so many future Division I and NHL players in the same locker room, the scene at star-studded Jefferson was ripe for personality clashes and inflated egos. Crowley helped keep that in check, too. The 5-foot-11, 175-pound Crowley, coveted by most every top Division I college program, visited Wisconsin, Notre Dame and Minnesota. 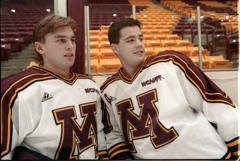 He chose the Gophers, and he made an immediate impact as a freshman with 11 goals and 27 assists in 41 games in 1994-95. He scored 63 points as a sophomore and 56 points as a junior and turned pro after the 1996-97 season. Crowley played in 67 regular season games during parts of three seasons for the Anaheim Ducks during his five-year pro career. Crowley sells spine implants for Stryker Orthopaedics and lives in Eden Prairie with his wife Jobie and their children, Connor, 6, and Addison, 4.